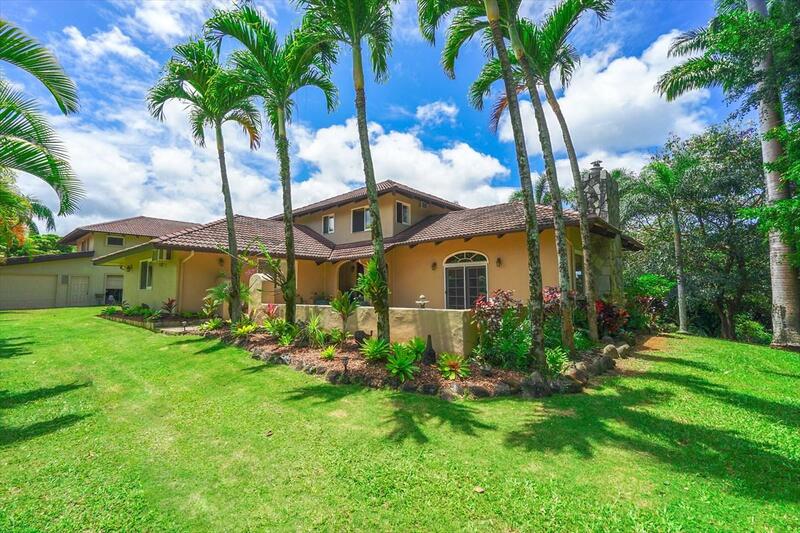 Located in the serene Kahili Makai neighborhood, this 2.01-acre "banana belt property features a 4-bedroom, 3-full bath and 2-partial bath home with a sophisticated agricultural building surrounded by landscaped grounds, offering mountain and Crater Hill views. The propertys entrance welcomes with newly installed garden beds and a courtyard. The downstairs living area casually flows and is expanded by a generous back lanai that runs the length of the house, allowing for easy indoor-outdoor living. With two master suites and two additional bedrooms, the home offers space and flexibility. 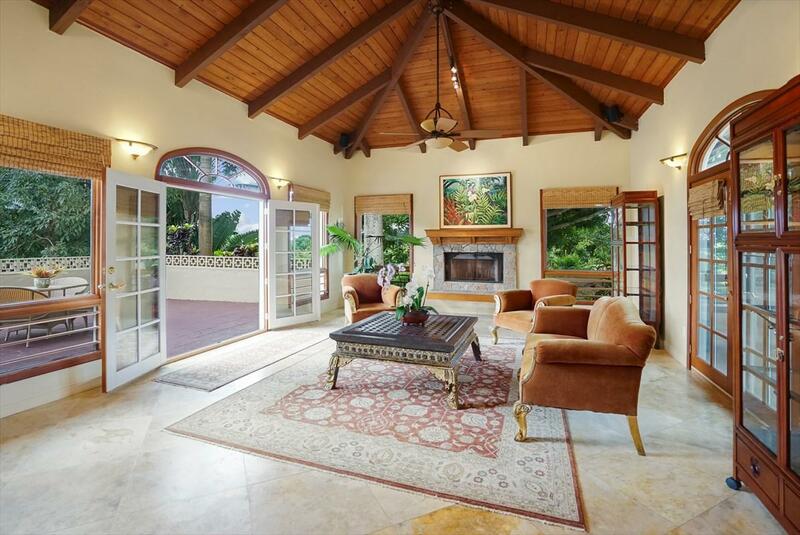 The separate master suite features vaulted wood ceilings, solid Brazilian cherrywood floors, and a peaceful, private lanai overlooking the landscaped yard as well as ample closet and storage space. The private agricultural building with its own bathroom and outdoor lava rock waterfall shower that could be used as a home office, yoga studio or massage room. Upgraded details include travertine tile floors, Burmese wood carved details, vaulted wood ceilings, and granite in the kitchen and updated baths. The homes orientation captures the expansive yard, garden and orchard views, which are enjoyed from nearly every room. The acreage is primed for a farm-to-table garden, a gentlemans farm or an equestrian estate. 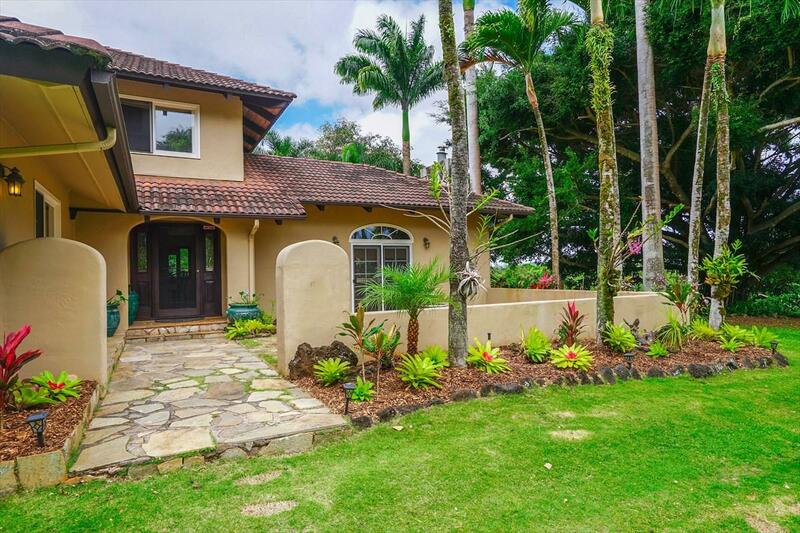 The fully landscaped and fenced grounds include tropical fruit trees, an organic garden bed and an orchid greenhouse. Tees include avocado, mango, papaya, banyan, various citrus and a rare bodhi.Located on the North Shore of Kauai, Kahili Makai is less than a 5-minute drive from Kilauea Towns restaurants and shops. For surfing and swimming, Kahili "Rock Quarry Beach is only a few minutes away. The neighborhoods location offers sunnier, drier weather compared to other areas further north and in-land. 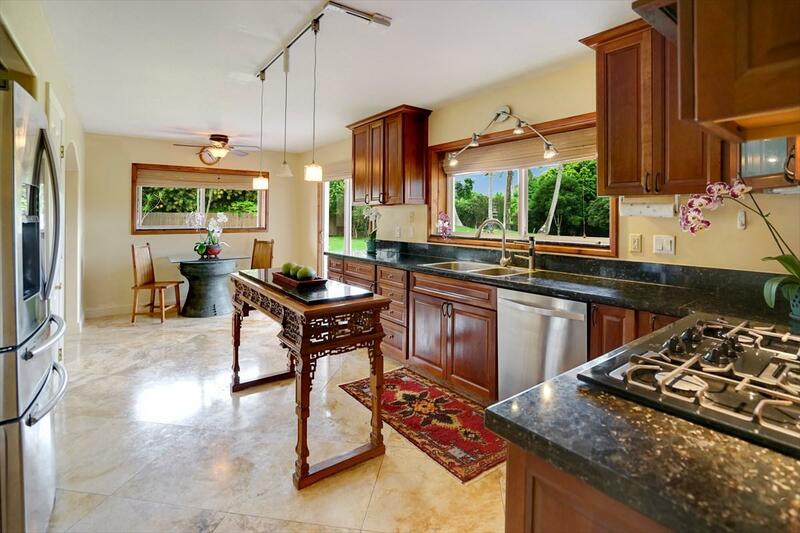 Owners love the excellent microclimate, nearby beach, and serene privacy. Kahili Makai subdivision does not have HOA dues. Make sure to view the video.